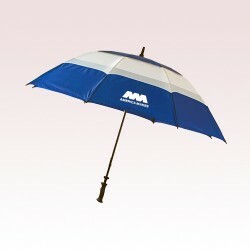 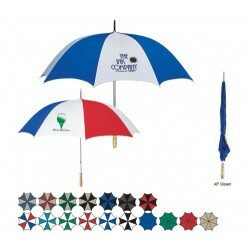 Custom full size umbrellas, otherwise known as Golf Umbrellas are the most value effective promotional items in the league. 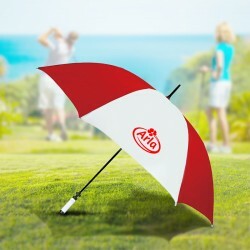 Custom Golf umbrellas lend great impact to your logo and people love them because it shades them from unexpected showers and allow them to enjoy their golf game! 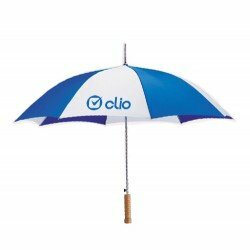 These personalized golf umbrellas are offered in canopy sizes 41” arc to 68” arc and they can host couple of people at a time, thereby bringing you several elite customers at one go! 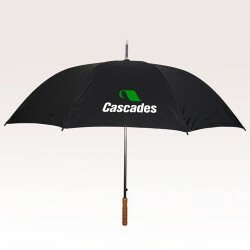 Large and brilliant colored canopy with large logo size is sure to get your business noticed. 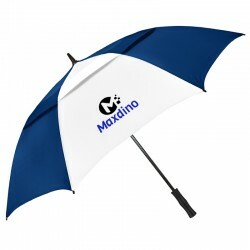 Personalized Golf Umbrellas with Free Design! 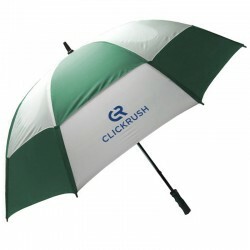 Cast Larger-than-Life Impressions with Large Sized Custom Printed Golf Umbrellas! 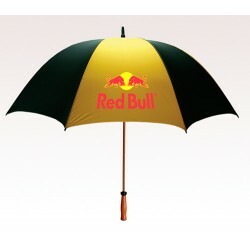 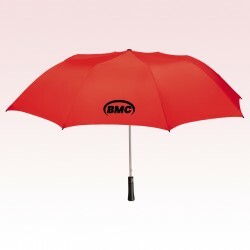 Stay sheltered from rains or harsh sunshine when you are on the golf course or facing intensive niche competition with any of these customized golf umbrellas from our collection. 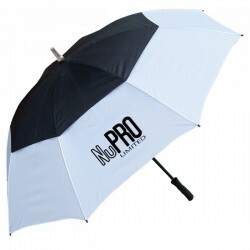 We have strived to put up custom golf umbrellas of various standards from a budget model to high quality and storm proof umbrellas made up of fiberglass. 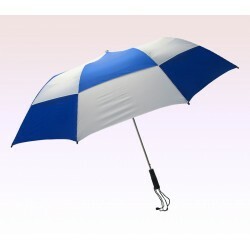 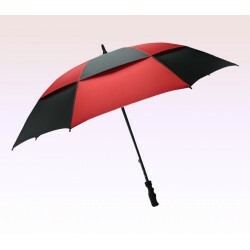 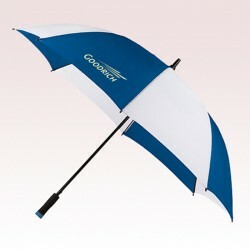 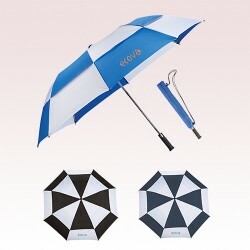 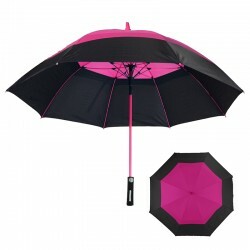 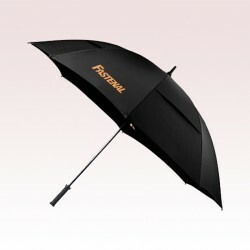 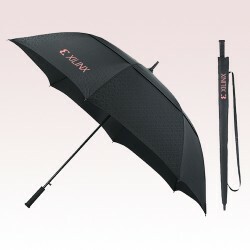 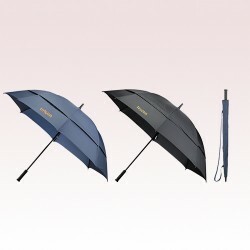 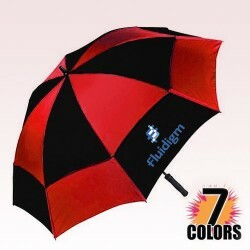 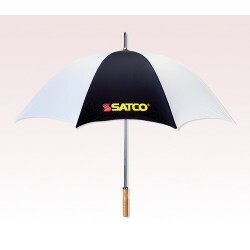 The highest quality golf umbrella hold high retention value and people are going to use them often. 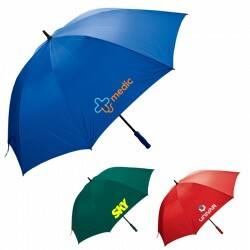 Do you know that 69% of people generally retain promotional gifts and about 60% of them are sure to use it a couple of times. 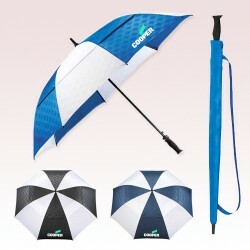 However, with something as useful as large and sturdy golf umbrellas, you can even toy with this statistics for better business profits. 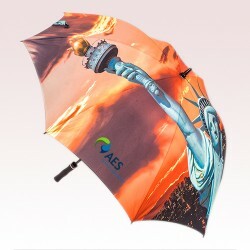 More than 69% people may retain it for the benefits that it offers and whenever they open it in public they might inspire others to take note of you, thereby giving you the best value for money. 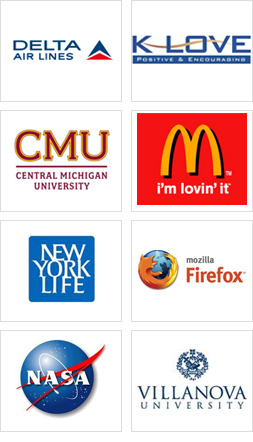 Putting beneficial statistics in the other way, it is estimated that on a busy high street, 3000 logo impressions are registered within 60 seconds. 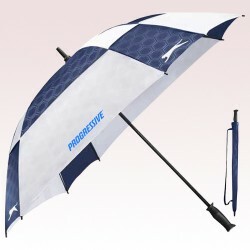 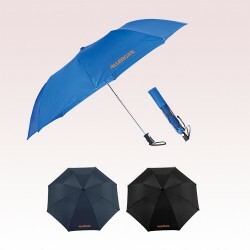 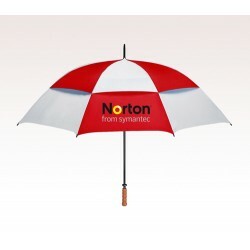 Even if a recipient chooses to venture out with any of these umbrellas once a week, they are sure to register 156,000 impressions in a year, which will account to 1.5 million impacts within a decade. 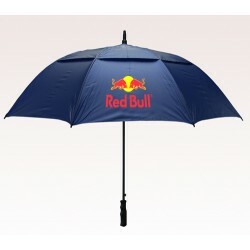 These figures are not bad for marketers who are trying to strike it big with their first investment. 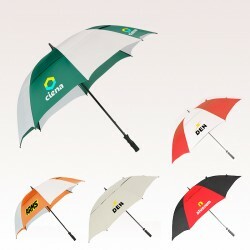 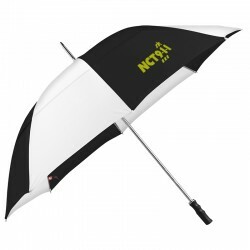 With this kind of branding power at such low price, it would be no brainer for marketers to invest in promotional golf umbrellas for their brand. 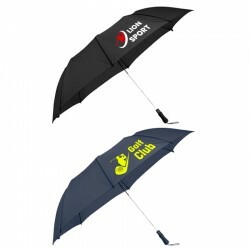 These golf umbrellas not only make a great gift idea for golf enthusiasts but also to sports lovers, awareness groups, sports groups, sports accessories stores, etc. 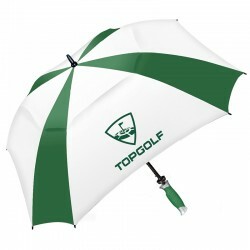 At US Umbrellas, we offer a full range of personalized golf umbrellas in budget range from $5.99 per custom umbrella to $38.50 per umbrella. 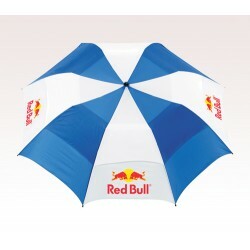 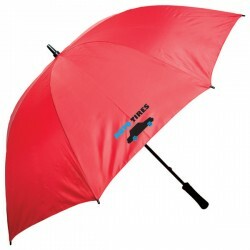 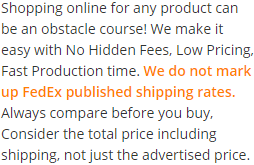 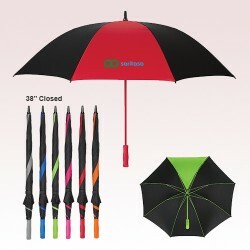 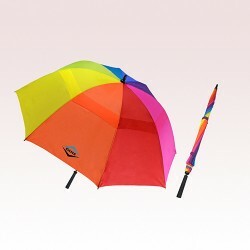 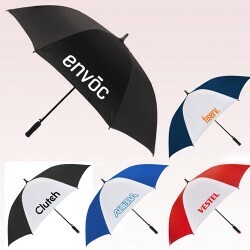 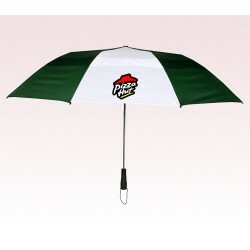 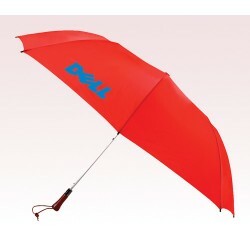 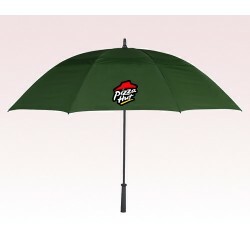 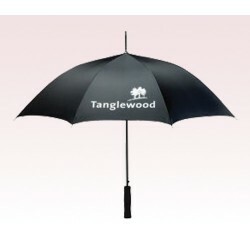 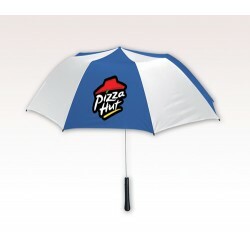 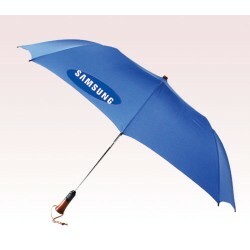 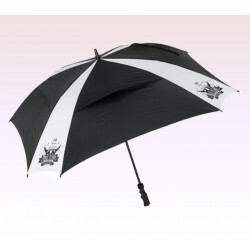 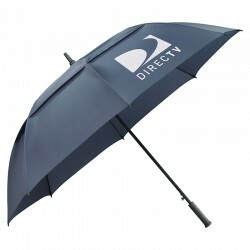 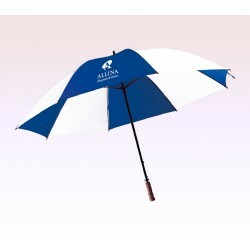 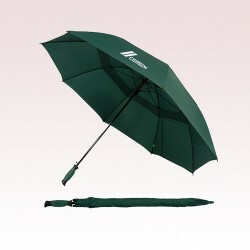 We offer most attractive price savings on bulk orders of these custom golf umbrellas. 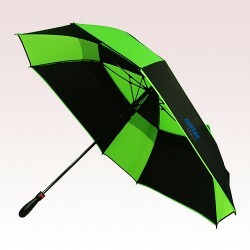 Call us at 888-254-5290 or email us at info@usumbrellas.com.